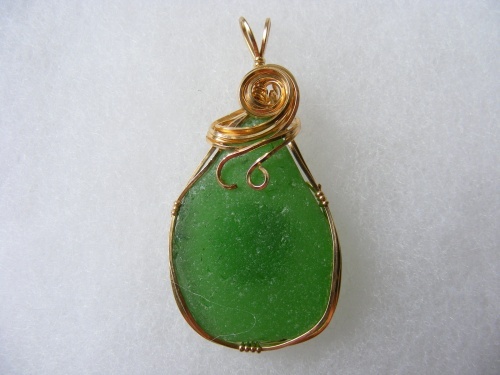 This pretty kelly green piece of authentic seaglass has been sculpted in 14k gold filled curls making it so exquisite. Measures 2" from top of seaglass to bottom and 1" wide. Comes with a 14k gold filled chain.